Rehoboth Beach, Delaware offers a variety of attractions for visitors of all ages…plenty of restaurants and lots of shopping, as well. So, if you are visiting the Nation’s Summer Capital…What’s Going On? Wednesday, 7/31 – Jewelry Making at Heidi Lowe Gallery – Classes. The classes are 3 hours long. Choose 12 to 3 p.m. where today, 7/31, you will be making a beach glass pendant, or 5 to 8 p.m. where you could also make today, 7/31 a ring. No experience is necessary. You will take a piece of handmade jewelry home. $100 includes all materials and tools. 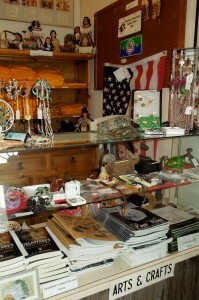 Call the Gallery at 302-227-9203 or visit http://www.heidi-lowe-gallery.squarespace.com/teach. 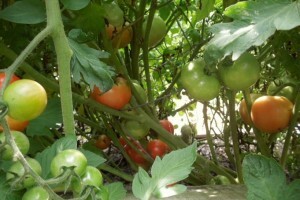 Wednesday, 7/31 – The Rehoboth Summer Children’s Theatre present “Jack and the Beanstalk” at 11 a.m. at Epworth United Methodist Church on 19285 Holland Glade Rd. $10 admission. Please call 302-227-6766 or visit http://www.rehobothchildrenstheatre.org. Thursday, 8/1 – A Lifeguard Fundraising Event at Aqua located on trendy Baltimore Avenue in Downtown Rehoboth Beach. 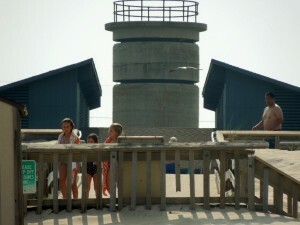 The 10-34s, Rehoboth Beach Patrol Lifeguard Band will perform. A fun evening with specialty drinks, push-up contest, a raffle of local art work, gift cards to local restaurants, as well. 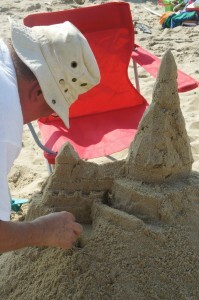 Saturday, 8/3 – The 35th Annual Sand Castle Contest. Registration begins at 8:30 a.m. Sculptures need to be completed by 3 p.m. Judging will start at 3 p.m. Winner will be announced at 5 p.m. Location? 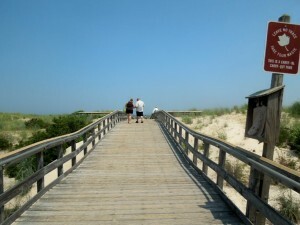 The north end of the award winning Rehoboth Beach Boardwalk. More info? 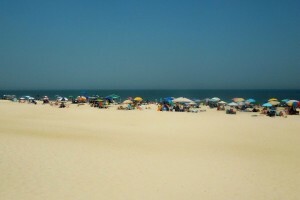 Please visit http://www.beach-fun.com. Saturday, 8/3 – 8th Annual Rehoboth Museum Beach Ball! 7:00 p.m. until 10:30 p.m. This is a benefit for the Rehoboth Beach Museum. 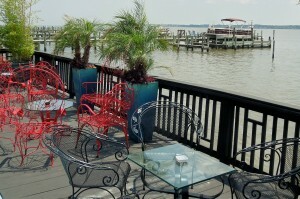 For reservations please call 302-227-7310. Cocktail buffet, silent auction, live auction, photo booth, and music by Bob Hughes. 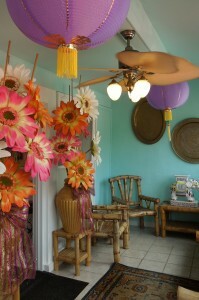 The attire is dressy casual and it is also open seating. Please visit http://www.rehobothbeachmuseum.org and check out the auction items. Note: If you are traveling to the Delaware Beaches and need a place for your pooch to stay for the day or overnight, please call Doggies at the Beach at 302-644-8200 or visit http://www.doggiesatthebeach.com. They also offer training, grooming…and they do love the pooches!! 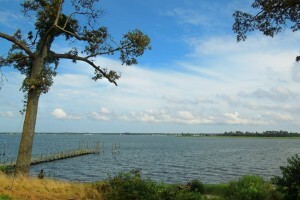 Laid back coastal retreats, we have several at the Delaware Beaches!! 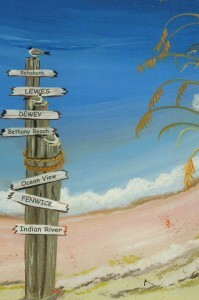 If you are visiting Lewes check what’s going on Tuesday, 7/30 and 7/31. 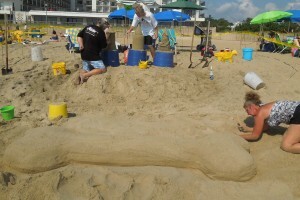 Even though Summer of 2013 is flying by….there is still plenty to do at the beaches. 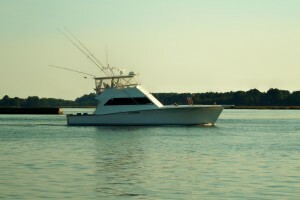 Tuesday, 7/30 – University of Delaware Marine Tours – 10 a.m. through Noon. Intrigued by the ocean? 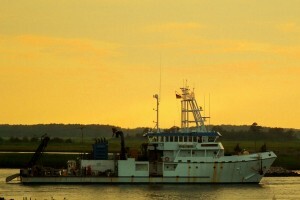 Interested in a marine science career? How about just curious…plenty of research is being conducted at the University of Delaware College of Earth, Ocean and Environment. Take a tour to find out. It is for visitors 10 years of age and older. Tours are offered year round and reservations should be made one week in advance. 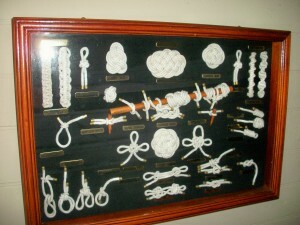 But, on Tuesdays and Fridays during the summer and in the mornings you can tour it. Please call 302-645-4346. 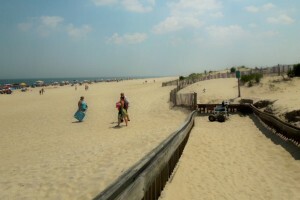 Tuesday, 7/30 – Hayrides at The Beach – Cape Henlopen State Park. 5 p.m. to 6 p.m. and 6 p.m. to 7 p.m. The hayrides begin at the Campground Parking Lot. But, please get your tickets at the Nature Center starting at 9 a.m. today. Tickets are $5/person and it is for ages 5 years of age and up. First come, first serve!! More info? Please call 302-645-6852. 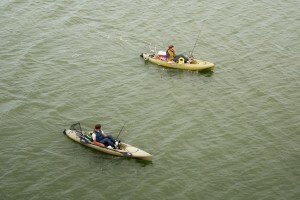 Tuesday, 7/30 – Evening Kayak Eco-Tour – 6:30 p.m. – 8:30 p.m. at the Kayak Shack at the Fishing Pier. This is a 2 hour paddle, all equipment is provided. Just bring drinking water, secured footwear; no flip flops. Ages 8 and up with paying adult. Solo paddlers have to be at least 13 years of age. All participants under 18 must be accompanied by an adult. $25 for a solo kayak, $35 for a tandem. For more info., and to pre-register, please call 302-645-6852. Tuesday, 7/30 – Summer Concert at Stango Park – 7 p.m. – 8 p.m. Bring your family and friends…and blankets, chairs, and bug spray. 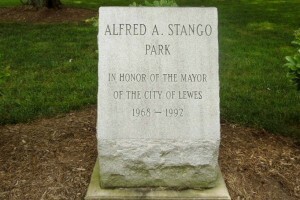 Beautiful Stango Park is located next to the Lewes Public Library on Kings Highway. Tonight is Zydeco A Go Go…the sounds of Cajun and Creole music! 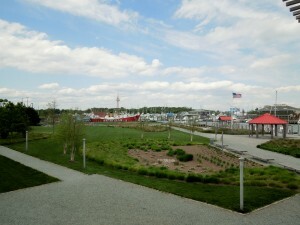 Wednesday, 7/31 – Zumba with Kelly at Canalfront Park on Front Street, Lewes from 6 p.m. until 7 p.m. This is a free Zumba class that takes place on Wednesdays and is totally free!! Wednesday, 7/31 – Cinema by the Canal – Summer Series of Outdoor Film Screenings for all ages. “Here Comes The Boom” will be featured on Wednesday at Canalfront Park, located at 211 Front Street. The film will begin at dusk; around 8:15 or 8:30 p.m. Here Comes the Boom is a comedy, featuring Henry Winkler, Bas Rutten, and Salma Hayek. It is rated PG. 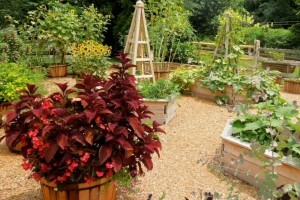 Children’s Learning Garden, Lewes, Delaware, Lewes In Bloom, Events, Activities, Southern Delaware, Delaware Beaches…See Local Fruits, Flowers, Veggies Grow! It is a beautiful day at the Delaware Beaches….a little bit of rain last night probably was more than welcomed by the Children’s Learning Garden, located in Stango Park near the Lewes Public Library on Kings Highway, as you enter Lewes, Delaware. 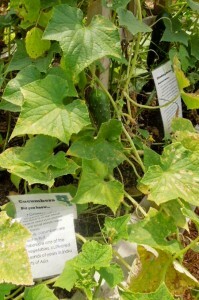 In this learning garden families can see how local fruits and veggies grow. I stopped to see it because even from the road it attracts attention. This garden was established in April 2013 by Lewes in Bloom. This organization started in 2002, just like everything else starts in communities throughout the United States with a small group of volunteers. 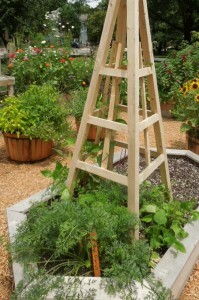 Lewes in Bloom promotes the beautification and maintenance of Historic Lewes, and the community. 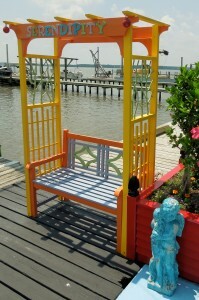 It has won America in Bloom awards in 2003, 2005, and 2010, for cities with populations under 5,000. 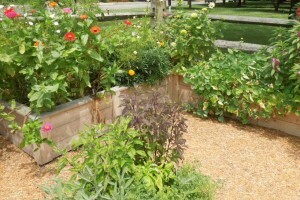 Please visit their website at http://www.lewesinbloom.org to know more about it, donate, and volunteer. 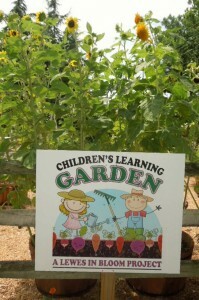 Families are invited to participate at the Children’s Learning Garden. Plenty of activities each week, free of charge, are on the schedule, all by Lewes in Bloom volunteers and members from the community. 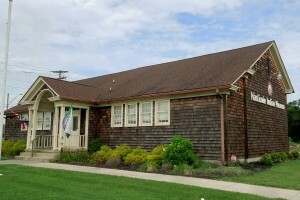 Mondays – 10:30 a.m. – 11:30 a.m. – Story Hour with Miss Maureen from the Lewes Library! Litsten to her favorite books and complete a simple craft. Bring a blanket and picnic lunch to enjoy afterwards. 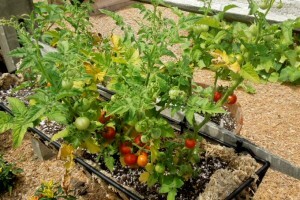 Thursdays in the Garden – Augst 1st brings Kids’ Zumba, August 8th is Kids’ Yoga, August 15th is Music with Miss Debbie, and August 22nd is Cooking with Miss Katie! 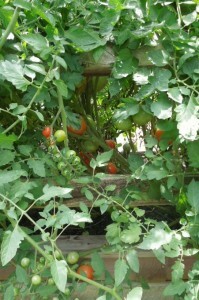 What’s Growing in the Garden! 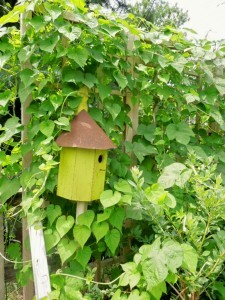 The Children’s Garden is such a peaceful retreat. Stop by and enjoy. Please remember that donations are always welcomed. 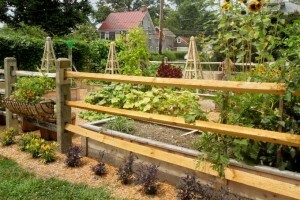 You may send your checks to Lewes in Bloom, P.O. Box 308, Lewes, DE 19958. 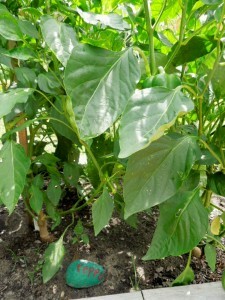 Or, you may also donate online http://www.lewesinbloom.org. For further info., please contact Nancy Phillips at nandfp@yahoo.com. 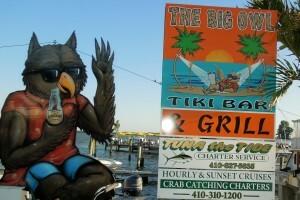 The Big Owl Tiki Bar, Kent Narrows, Maryland, Lunch, Dinner, Coffee, Drinks, Live Entertainment..En Route to the Delaware & Maryland Beaches!! 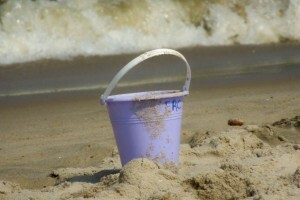 Lucky if you are visiting the Delaware and Maryland beaches on this gorgeous week-end!! No humidity, bright blue skies and perfect temperatures. If you are driving from Virginia, Washington, D.C., Baltimore, Maryland and surrounding areas, you are probably going to take Rt. 50 East. And, you will probably be stuck in traffic. The beaches are at their height of the season and that’s what happens. A tip!! 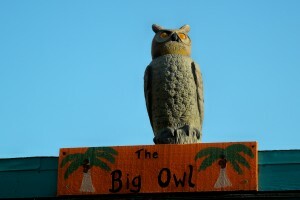 Stop at The Big Owl Tiki Bar in Kent Narrows. Take Exit 42, no matter which way you are going. 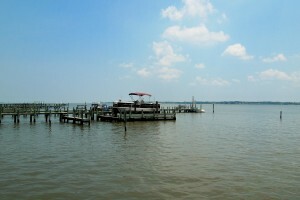 The actual address is 3015 Kent Narrows S., Grasonville, MD 21638. Tel. 443-827-6523. Website? http://www.thebigowl.com. It opens every day of the week for lunch, dinner, coffee, and drinks. They do have live entertainment. For example, tonight, Saturday, 7/27, Levi Stevens Duo will be playing at 6 p.m. until 10 p.m. and The Big Money Band will be playing on Sunday, from 3 p.m. until 7 p.m. You can check the schedule on the website above mentioned. 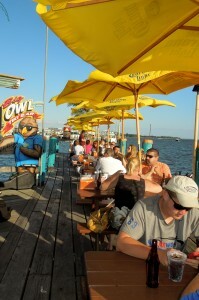 The Big Owl Tiki Bar literally sits on the water. 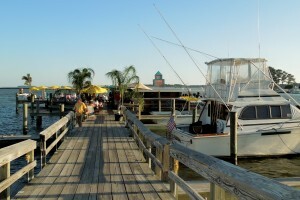 Gentle breezes, and an awesome scenery as you watch the fishing boats go by. Michael and I stopped for a bite to eat on the 4th of July week-end. Yes, we were crazy enough to be on the road and to also be stuck just like I told you. But a little detour made our trip certainly more enjoyable. 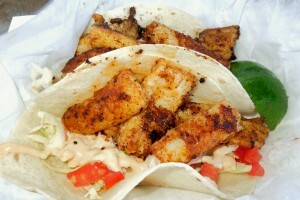 We both had the fish tacos. They were grilled, moist, and totally delicious. The Big Owl has a following and it gets crowded, but that is part of the fun. They have Happy Hour all day on Monday. Then, Tuesdays through Thursday, the Happy Hour is from 4 p.m. to 7 p.m. I think you will certainly like it!! So, have a great week-end! In memory of NAU-GWA-OK-WA (Lydia E. Clark), who died in 1859. She was the last of the Nanticoke Indians in Delaware and Eastern Maryland to speak the Nanticoke language. 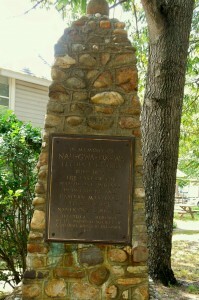 The memorial was erected by The National Society of Colonial Dames in Delaware in 1927. It was tucked away on a corner road in Oak Orchard; just by itself and it did attract my attention. 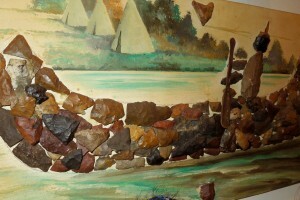 A visit to the Nanticoke Indian Museum a few days later was another “serendipity”…not looking for it but finding fortunate discoveries by accident. 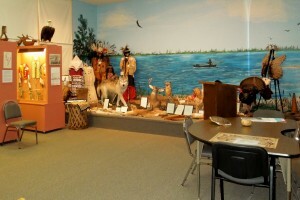 The Nanticoke Indian Museum is located within the Nanticoke Indian community. It is not far, at all, from the beaches. It is on Rt. 24 on 27073 John J. Williams Highway, near Oak Orchard and Millsboro. Tel. 302-945-3400. Website? 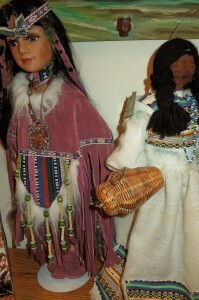 http://www.nanticokeindians.org. For years I have driven past this museum. I looked at it and continued on. This time, I stopped. Mr. Sterling Street was in the Museum on that day. I introduced myself and asked if I could take pictures. He gave me permission, but not before he mentioned that I could take all the photos I wanted, but not from the eagles. I was curious and asked him to pardon my ignorance. He said that the Eagle is sacred to the Nanticoke Indian….it flyes the highest and therefore closest to God. Many years ago I knew Butch Coursey who was a Nanticoke. I have not seen him in many years, but Mr. Street told me that he is still around and that Butch had attended school in the building which is now the Nanticoke Indian Museum. He even brought photos out. There are 2 rooms full of artifacts and information. 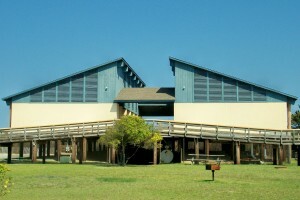 The library houses a large collection of Native American books, photos, and video presentations. The public is welcome to use the library. The Museum is open Tuesday through Saturday from 10 a.m. until 4 p.m. Sunday, from Noon until 4 p.m. It takes no time to get there. And, it is only $3 for adults and $1 for children. 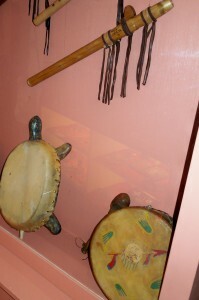 The Nanticoke Indian Museum is the only Native American Museum in Delaware. 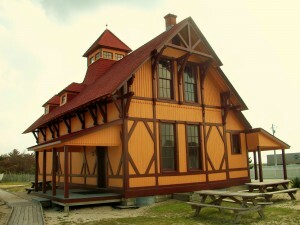 It is also a National Historic Landmark. 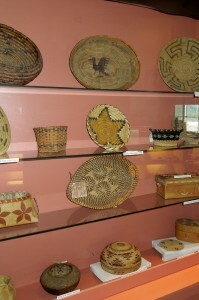 Every artifact, carving, pottery, basketry, traditional clothing, and tool has been found in the community and offer glimpses of the complex traditional ways of the Nanticoke Tribe. The portrait of Chief Little Owl caught my attention. 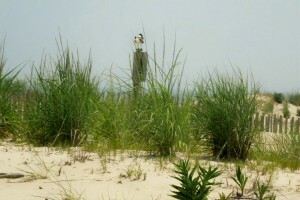 If you have visited Bethany Beach, then you must have noticed the Totem Pole that welcomes all visitors to Bethany. 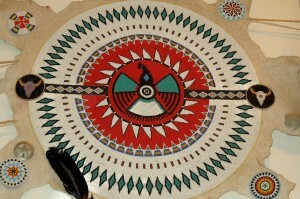 That carving is paying hommage to the Nanticoke Indians and, specifically, to Chief Little Owl. The 2013 Annual Powwow is taking place from September 7th through September 8th. A powwow is a gathering of Native people. 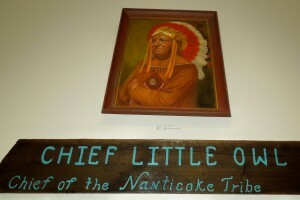 And, for the Nanticoke Indians is a time to teach us more about Delaware’s first inhabitants. 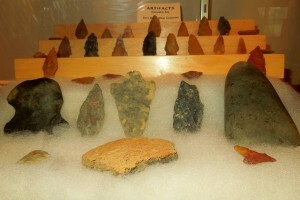 So, if the weather is too cool to sit on the beach, and if it is rainy and the shoppers are making you crazy…think about the museums that are scattered throughout Southern Delaware. 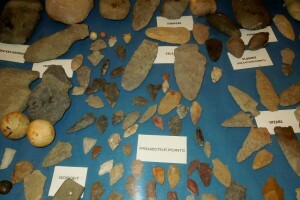 They are very doable…and let me tell you….kids would love the Nanticoke Indian Museum. 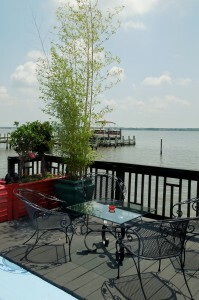 Serendipity, Restaurant, Oak Orchard, Delaware, Dining on the River, Waterfront, Breakfast, Lunch, Dinner,All You Can Eat Italian Feast on Fridays and Saturdays, Southern Delaware…Cleanest Restaurant Ever!! Serendipity is the faculty of making fortunate discoveries by accident; it is the phenomenon of finding valuable or agreeable things not sought for…that’s what the definitions are. On the 27th of July, it is going to be 4 years since I have been writing on this blog. I remember when I started it my thoughts were, and still are, to promote the Delaware Beaches and other places that have become dear to my heart. I wanted to be the “word of mouth” and tell you…hey…the best corn is here, the best crabcake is there. Of course, is my opinion, so you might differ. With that said, my friend, Jody, and I went to Oak Orchard to check out Serendipity, which has been in the area for some time. And, do you know where Oak Orchard is? 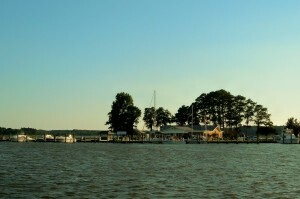 Oak Orchard is part of Millsboro, Delaware; not far at all from the beaches. 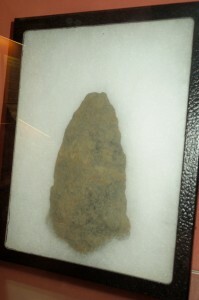 This area has been home to the Nanticoke Indian Tribe for over 2,000 years. It is on the river. 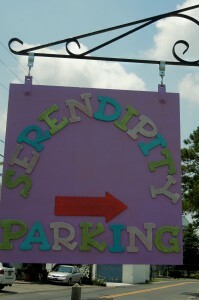 Serendipity is located on 32580 River Rd. To get there from Rt. 1 or Coastal Highway take Rt. 24 West (by McDonalds) and continue to Oak Orchard Rd. where you will make a left. Go all the way to the end of the road, turn right and the restaurant is on the left. Some parking in front, otherwise, plenty of parking across the street. 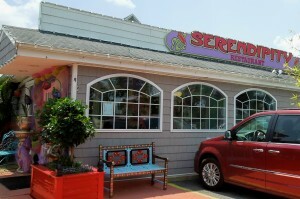 Serendipity is probably the most colorful building in Oak Orchard. 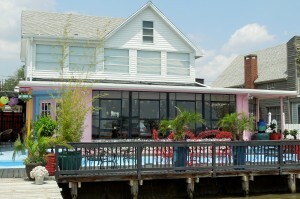 The restaurant is in a house on the waterfront. I am almost tempted to say “you have to see it to believe it”. 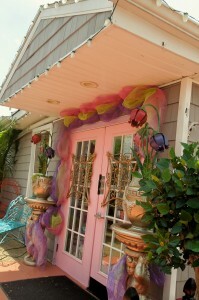 The entrance was so whimsical. 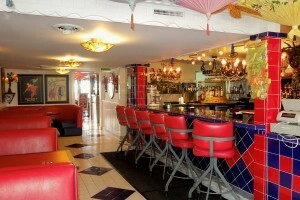 A full bar with booths is located at the front of the restaurant. Then, an open dining room, with views to the river. 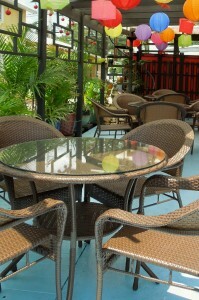 You can dine outdoors on their open air side dining room. 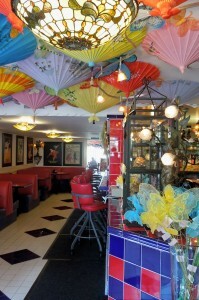 Serendipity is open for breakfast, lunch, and dinner. You can also arrive by boat. The menu is huge and everything is cooked to order. There is a little bit for everyone. Pizza dough is made fresh every day. The desserts are all family recipes. 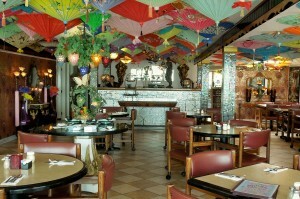 You can check the menu by visiting their website http://www.serendipityde.com. Tel. 302-945-3600. On Fridays and Saturdays, their Italian Feast, all you can eat, starts at 5 p.m. They have galumpki, which is stuffed cabbage…Polish food!! And, please note that you should leave your “diet” at home. Jody and I decided that all we wanted was a house salad. It was one of those scorcher days. 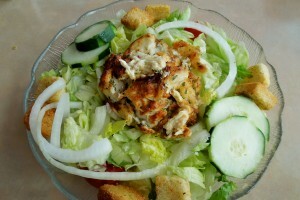 I chose to have a crabcake on mine, which by the way was all meat; no filler. And, Jody, decided on the shrimp which she equally liked, as well. We played tourists and had our picture taken outside. The staff was so friendly and taking so much pride on their restaurant….Serendipity was the cleanest restaurant we had ever been!! 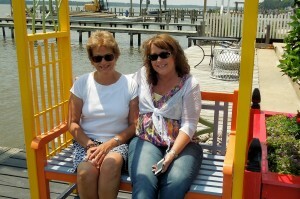 Discovering Southern Delaware with a friend…priceless! 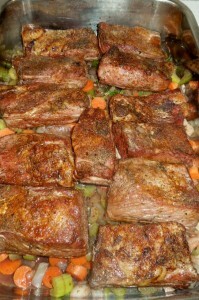 Rehoboth Eats, Short Ribs, Comfort Food, Delicious Gravy, Flavorful, Perfect for Dinner, Good Enough for Breakfast! My craving for short ribs started in the a.m. All it took was a look at a grilled cheese sandwich stuffed with the meat of a short rib. It looked so delicious that I started checking out my cookbooks for a good and, of course, easy recipe for dinner. And, when the rain arrived…I knew it would be the perfect dish. 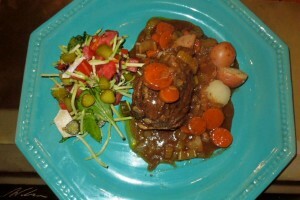 I think this dish is full of flavor and the gravy incorporates the veggies making a complete dinner. Short ribs are larger, more tender, and meatier than pork spare ribs. The recipe is not my own. It is a little bit of Barefoot Contessa and a little bit of that… my own. You will be able to put your own signature on it very easily. At the market the butcher told me that he had just prepared the short ribs. So, they were very fresh. The recipe called for 6 short ribs but I think I had 11 of them. I wanted leftovers. 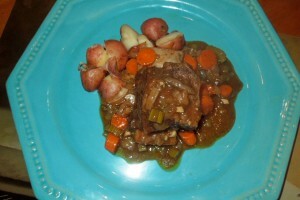 The following recipe is for 6 short ribs, so just double it if you want to. Sea Salt (optional) I used a Cajun, salt free, seasoning. Cornstarch to thicken the gravy. 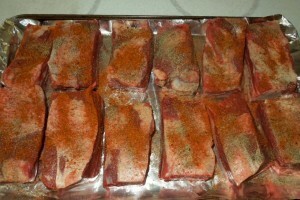 Place short ribs on a cooking sheet lined with foil, sprinkle with salt, seasoning, and pepper. Reduce the oven temperature to 300 degrees and roast for about 20 minutes. In a large frying pan heat the olive oil. 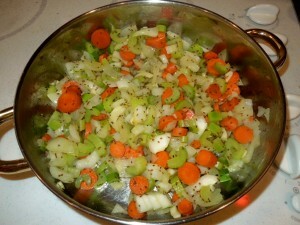 Add the onion, celery, carrots, fennel, and leek. I had Anise to add instead of fennel. Cook over medium low heat for about 20 minutes, stirring occasionally. Add the garlic and cook for another few minutes. 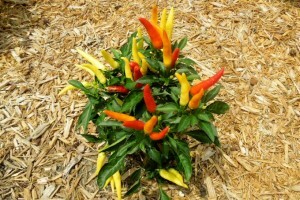 Pour the wine over the veggies, bring to a boil, cook for a few minutes and then add the salt and 1 teaspoon of pepper. 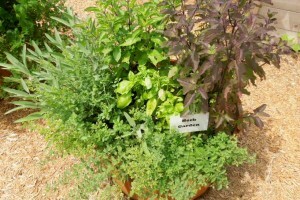 Tie the rosemary and thyme together with kitchen twine and add to the pot. Take the short ribs out of the oven. In a roasting pan pour the veggies and broth and place the roasted ribs on top of the vegetables. Add the beef broth and brown sugar. Cover with foil or top and bake for 2 hours or until the meat is very tender. I think I baked mine for about 2 1/2 hours. After the first hour add the cup of BBQ sauce. This is when you might want to also add the Apple Cider vinegar. I like the tartness it offers, so I use it a lot. Your choice, though. 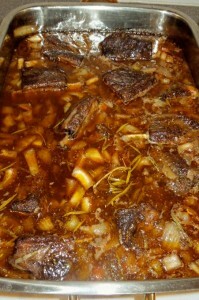 Once baked, removed the short ribs from the roasting pan and set aside. Discard the herbs and skim the fat off. 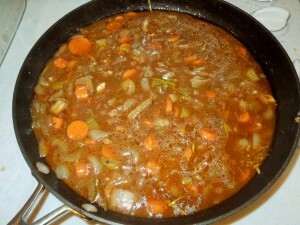 To make the gravy, just transfer the vegetables and sauce over to a pot or large frying pan, add about 1 tablespoon of cornstarch and stir until it thickens. If you like the gravy a bit thicker, add more cornstarch. Go a little bit at a time. 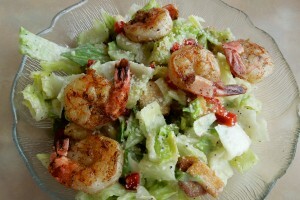 Serve with salad and new red skin potatoes. Enjoy!! Note: In my household the meat was cut off the bone and served over rice for breakfast!! And, this recipe was gluten free!! Comments Off on Rehoboth Eats, Short Ribs, Comfort Food, Delicious Gravy, Flavorful, Perfect for Dinner, Good Enough for Breakfast! 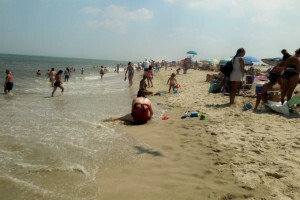 The beach was the place to be on this scorching day at the Delaware Beaches. 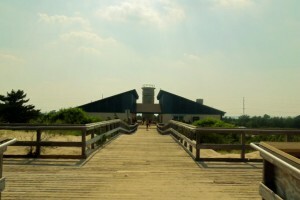 So, my choice of beach today was Tower Road located south of Dewey Beach, Delaware….it is a Delaware Seashore State Park beach. Out of state cars are $8, and cars with Delaware tags are $4. This is a particular nice beach, with plenty of parking. 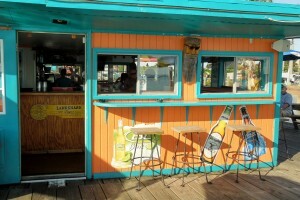 The concession offers French Fries, Hot Dogs, and plenty of the grub we all love at the beach. Two of the WWII Towers stand as usual….these historic sentinels are always watching. At the end of the ramp I noticed the beach wheelchair. It is free for anyone who needs help on the beach. 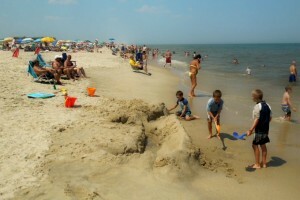 The Delaware State Parks offer many events and fun activities for the whole family. 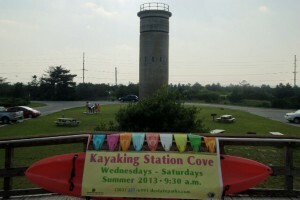 On Wednesdays, through August 15th, is Kayaking Station Cove at 9:30 a.m. On Thursdays, you can catch a boat tour, at 10 a.m. until Noon, where you can explore the Inland Bays. The cost is $20. 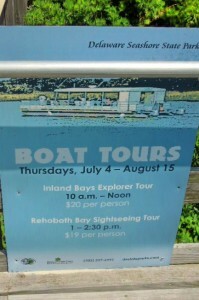 If you don’t want to wake up that early, then, they have a Rehoboth Bay Sightseeing Tour from 1 p.m. until 2:30 p.m. This tour is $19. More info? 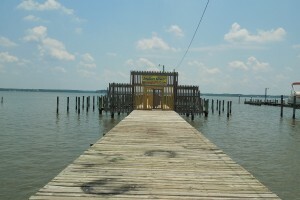 Please call 302-227-6991, or, visit http://www.destateparks.com. 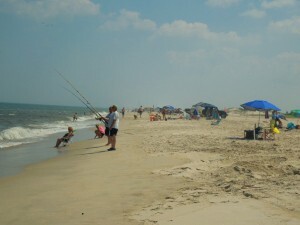 The beach at Tower Road is very wide. I used to always park on the north side, but, today, Susie and I decided to just sit in the thick of things. Please remember to take your sandals on very hot days because the sand gets very hot. And, if you do not have an umbrella, they also have them for rent at $12 per day. Sitting next to the lifeguards we could see that today was a very uneventful day. So, a little weight lifting when the temperature soars to 97 degrees was just the thing to do. It was such a typical day at the beach….nothing different. 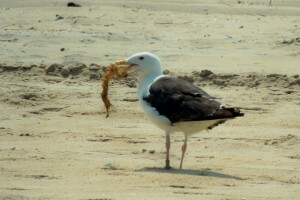 The sand bucket looked the same, the kids were digging, some were fishing, and this seagull was the perfect scavenger. 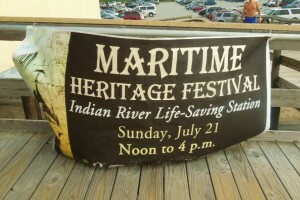 SUNDAY, JULY 21st – THIRD ANNUAL MARITIME HERITAGE FESTIVAL – The festival will take place at the Historic Indian River Life-Saving Station from Noon until 4 p.m. 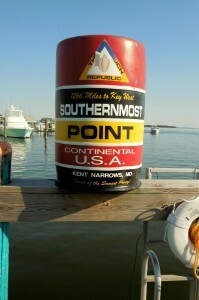 The Indian River Life-Saving Station is located south of Dewey Beach and two miles north of the Indian River Inlet Bridge on Rt. 1 (Coastal Highway). Free admission. For more information, please contact 302-227-6991. There will be crafts, games, music, and demonstrations throughout the whole afternoon when you can learn about the history of the Delaware coast. At 1 p.m., a Breeches Buoy Rescue Demo will take place. You might even be able to see a modern day rescue with a mock helicopter rescue, performed by the U.S. Coast Guard. At 1:30 p.m. a live performance by Four Sheets to the Wind, an authentic sea shanty duo. There will be exhibitors and activities like scrimshaw, interacting with diamondback terrapins, “sailor tattoo” face painting, colonial games, and scavenger hunts. 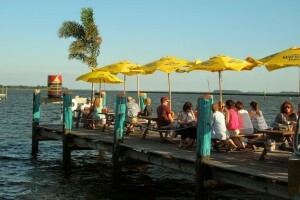 Food will be available, as well, and provided by Hammerheads Dockside. Have a great week-end!! Relax…you are at the Beach!